Because BRAND Business believes in the power of visual communication. 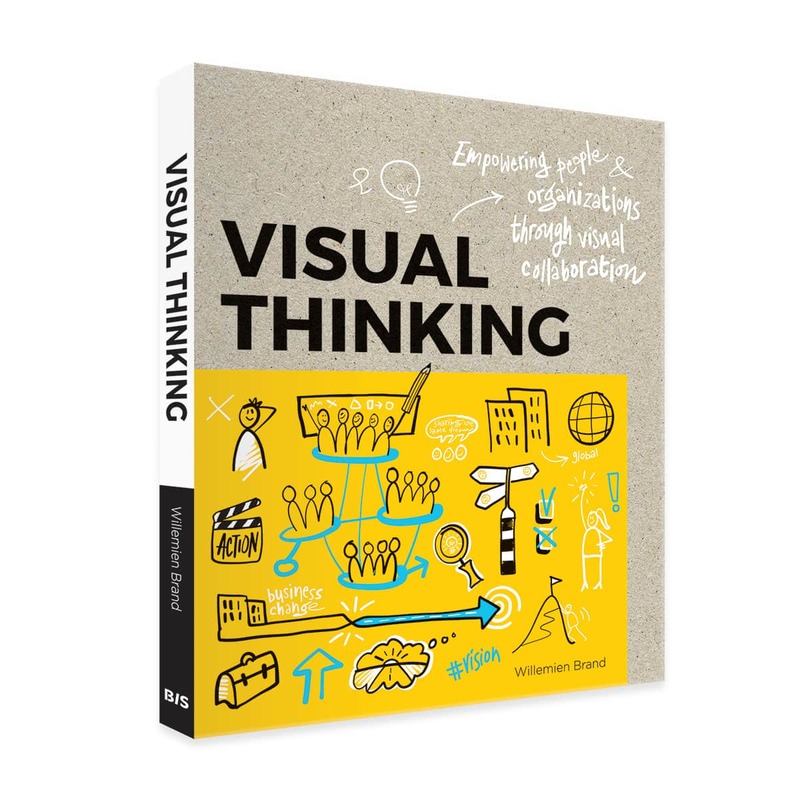 Visual thinking and drawing are both becoming increasingly important in today’s business settings This book provides you with the skills to develop your own style and teaches you how to generate change by integrating visual communication. A picture really can tell a thousand words. Visualisation is a crucial part of the journey for companies seeking to boost enterprise agility, break down silos and increase employee and customer engage­ment. Visualising thought processes can help break down complex problems. It empowers teams and staff to build on one another’s ideas, fosters collaboration, jump-starts co-creation and boosts innovation. This book will help brush aside misconcepti­ons that may have prevented you using these techniques in your workplace. You don’t need Van Gogh’s artistic talent or Einstein’s intelli­gence to harness the power of visual thinking and make your company more successful. 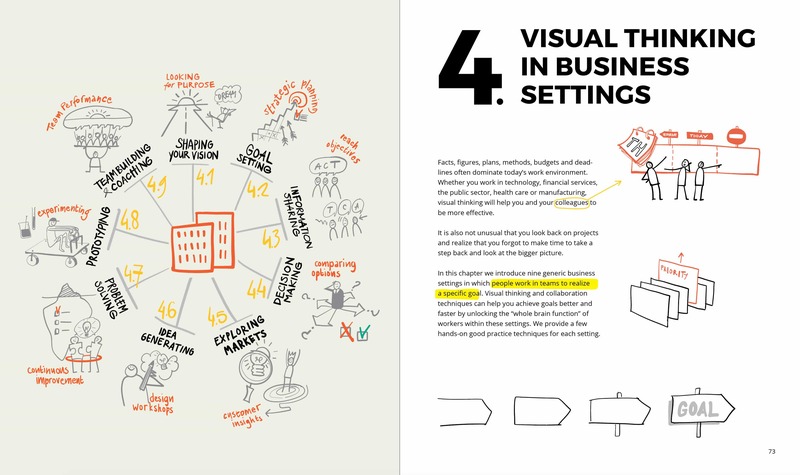 With the right mindset and the simple skills this book provides you the skills to develop your own signature and style and start gene­rating change by integrating visual communi­cation into your business setting. This book has been written by Willemien Brand in collaboration with PwC consultants Pieter Koene, Martijn Ars and Pieter Verheijen. Visual thinking is not a skill for just a lucky few. Everybody is born with the ability to think in pictures, but only a few people nurture and develop this ability as they grow older. It’s the same story with drawing. Everybody can draw, but the chances are you became discouraged as a child and neglected this skill. Sight is far and away the most important way we learn about the world around us. If you don’t develop your drawing and visualization skills you will not unlock the full potential of the 75% of neurons in your brain used to process visuals. For us, visual thinking is so much more than just practicing your drawing. We encourage people to use their own imagination, creativity and style. We want to inspire and teach people how they can make an impact in business settings by using drawings. We don’t want to limit ourselves to just teaching you a skill. We want this to be a practical handbook for your entire organization. It helps companies harness the power of drawn images alongside written and spoken words and body language. The book has a simple message: You can do this! 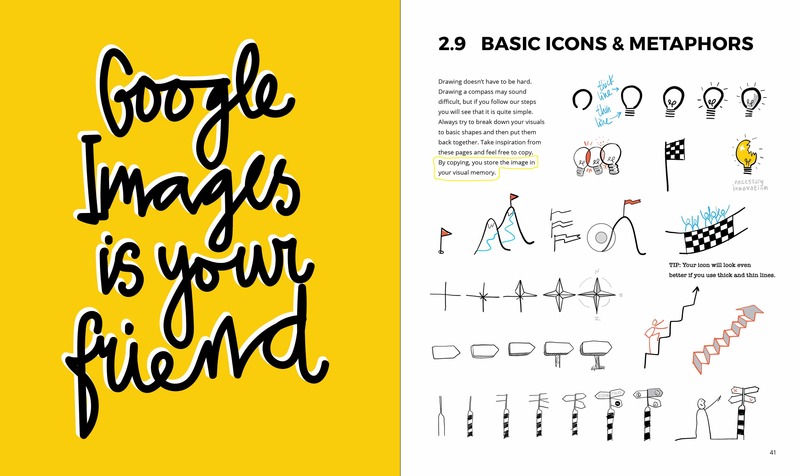 The lessons you learn on these pages can be used by your company as a standard for incorporating drawn images into your business. It’s actually exciting to use your own drawings in business communications. You need courage and a bit of audacity to create an image that will effectively visualize your ideas and priorities. But a few simple skills will enable you to start on this journey.